The average yearly out-of-pocket cost of health care for seniors 85 and older is $6,603 per household, according to a comprehensive national study. More than half of seniors 85 and older live in a nursing home before death. We all know that seniors can face huge hits to their pocketbooks from health care costs. The Employee Benefits Research Institute quantified that on Monday with a report that nearly 20% of household income in old age goes to pay for health care. The EBRI report, titled “Utilization Patterns and Out-of-Pocket Expenses for Different Health Care Services Among American Retirees” uses data from the Health and Retirement Study, the nation’s most comprehensive study of older Americans. According to the report, in 2011 the average out-of-pocket household cost of health care for seniors 85 and older was $6,603, constituting 19 percent of total household expenses. This is a full 8 percentage points higher than for those between the ages of 65 and 74, whose health care expenses were an average of $4,383 (11% of their total expenses). The report determined that an average 65-year-old senior with a life expectancy of 90 would require $40,798 to cover his or her recurring health care expenses, defined as doctor visits, dentist visits and usage of prescription drugs. The report also found that non-recurring expenses such as hospital stays, overnight nursing-home stays, outpatient surgery and in-home health care increase greatly toward the end of life. This spike in the use of these non-recurring health care services is, of course, no surprise. But the cost is disconcerting, as this is also a point in life when financial resources decrease for many, meaning seniors with fewer resources are getting hit with bigger costs. 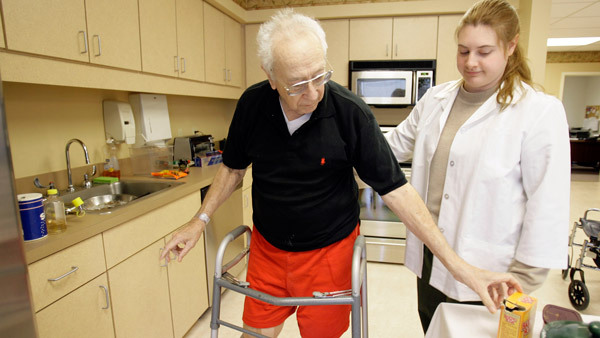 Nursing-home stays place a particularly big financial burden on the elderly. Of those 85 and older, 62.3% had stayed in a nursing home overnight before death and 51.6% were living in a nursing home before death. For people in that age group, during a two-year period, the average cost of a nursing-home stay was $24,185. The report also found that while women older than 85 stay in nursing homes with a frequency significantly greater than men, other differences between men and women with regards to expenses in the years preceding death are negligible. — Check out Short-Term Care Insurance: An Efficient Alternative to LTCI on ThinkAdvisor.